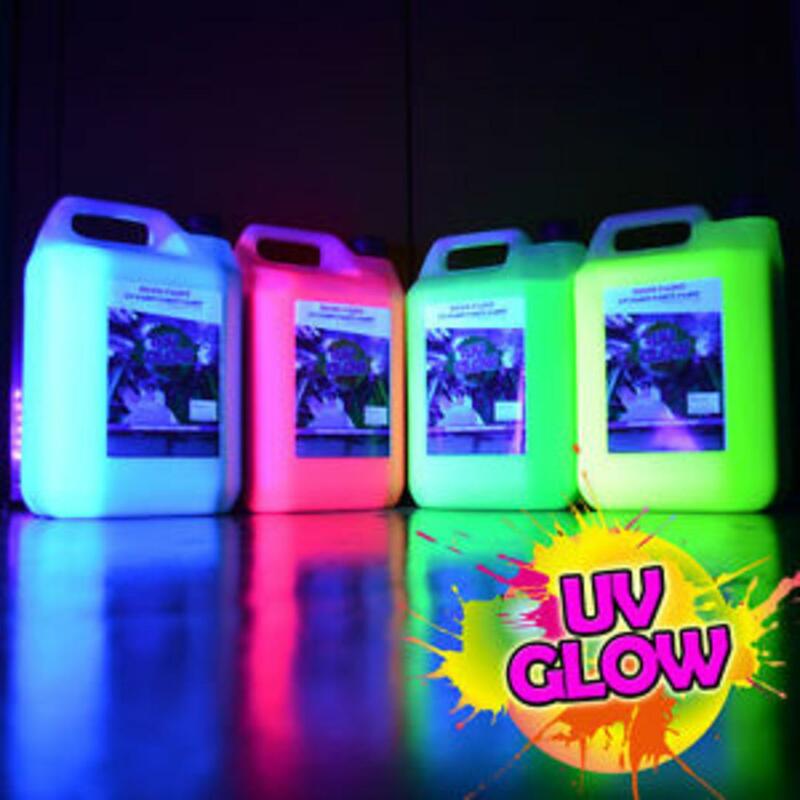 Bulk UV Neon Splash Paint 1 Gallon Fluorescent blacklight reactive UV Neon�Splash Paint is a washable Neon Party Paint glows brightly under blacklight, which makes it great for night clubs, dance parties, and raves! Throw it, Spray it, Splash it! We recommend to purchase on average a 1 gallon jug for every 15-25 people attending.